The 18-hole Berrien Hills Country Club in Benton Harbor, MI is a public golf course that opened in 1924. 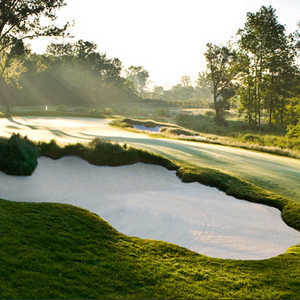 Berrien Hills Country Club measures 6219 yards from the longest tees and has a slope rating of 128 and a 70.4 USGA rating. The course features 3 sets of tees for different skill levels. 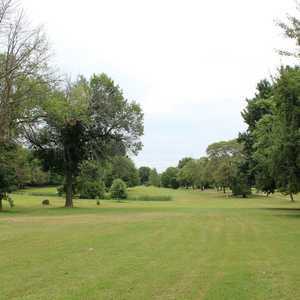 The 18-hole Blossom Trails in Benton Harbor, MI is a public golf course that opened in 1958. Blossom Trails measures 5987 yards from the longest tees and has a slope rating of 121 and a 68.3 USGA rating. The course features 3 sets of tees for different skill levels. Harbor Shores boasts a Jack Nicklaus Signature layout that plays through a stunning landscape of forest and wetlands. The golf course tumbles across hills and ravines blanketed with hardwood trees, providing a round that is as scenic as it is challenging. The 18-hole Lake Michigan Hills Golf Club in Benton Harbor, MI is a public golf course that opened in 1969. Designed by Charles Maddox, Lake Michigan Hills Golf Club measures 6818 yards from the longest tees and has a slope rating of 133 and a 73. 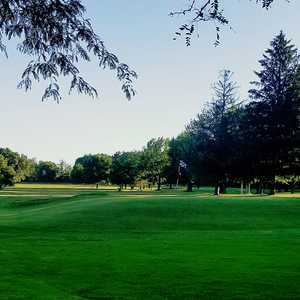 The 18-hole Point O'Woods Country Club in Benton Harbor, MI is a private golf course that opened in 1958. Designed by Robert Trent Jones, Sr. , Point O'Woods Country Club measures 7075 yards from the longest tees and has a slope rating of 140 and a 75.